​Damon grew up in the Hudson Valley. He attended SUNY Orange in Middletown, NY and studied Acting, Improvisation and New Media diligently. Damon has been performing Improv and Stand-Up comedy for 6 years and is a member of NYC's Mission Improvable, having performed in a plethora of venues including the Railroad Playhouse in Newburgh, NY. 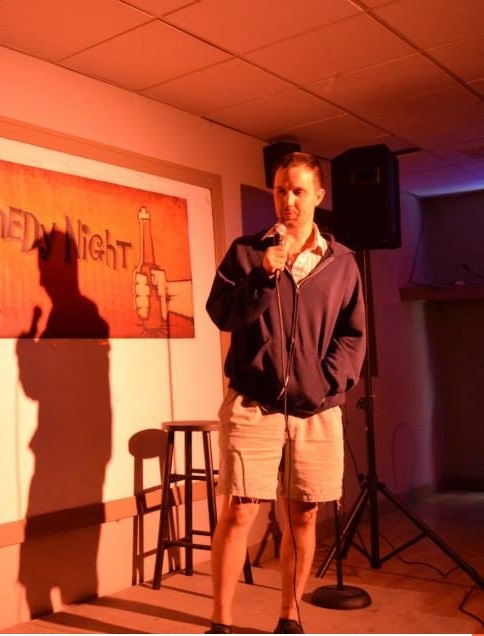 He now focuses on Stand-Up comedy and has performed at venues such as: Stand Up New York, Gotham Comedy Club, Comic Strip Live, Broadway Comedy Club, Greenwich Village Comedy Club, The Rosendale Theater, and more. He is a producer of many Comedy Shows where he also is featured in the lineup. Damon's future plans include: eating a peanut butter sandwich, invisibility, starting a cult that only wears Vibram feet shoes, getting banished from that cult, and writing a best seller about being banished from a cult.